This week most of North America has been encased in the iciest cold. 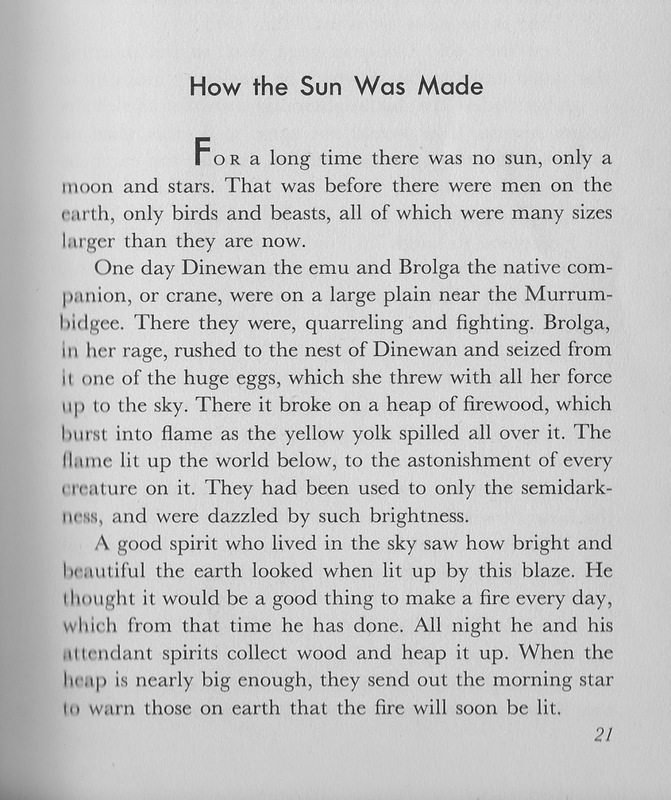 I'm just contrarian enough that I want to read stories from the Southern Hemisphere where heat is the topic instead. My storytelling friends in Australia certainly qualify. Years ago I spent a year researching the stories of the land they call Oz. Here in Michigan the following year it was the Summer Reading Program theme and I needed 8 programs for my own library's series. There was more than enough to tell! My storytelling and fascination with Oz has continued. As their culture (aboriginal - LSK) was in decline, because of pressure by European settlers, her testimony is one of the best accounts we have of the beliefs and stories of the Aboriginal people of North-West New South Wales at that time. However, her accounts reflect European prejudices of the time, and so to modern ears her accounts contain a number of misconceptions and racist comments. Because of this and also because of the complex aboriginal beliefs and background so foreign to my own background, I mainly told Aussie stories outside the aboriginal culture. However a program series looking at Oz wanted more than just stories written by the European settlers and their descendants. For aboriginal stories I used only books written by aboriginal authors. There are several, but I especially recommend Sally Morgan and her book, The Flying Emu and Other Australian Stories. She is definitely a teacher with stories of value beyond a mere glimpse of aboriginal culture and generously agreed to let me use those stories in oral storytelling. 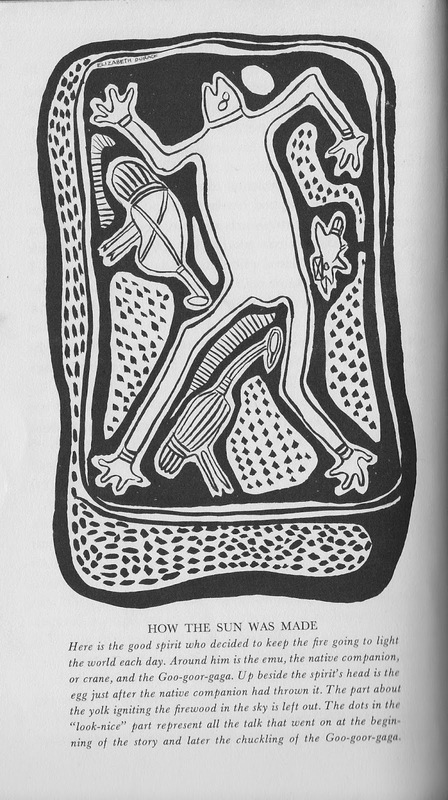 The topic of aboriginal culture is a deep well, with way more than I can hope to adequately present. To take a brief "dip" in that well, you might start with this Wikipedia article on the Dreamtime. So why am I offering this story by Parker? I think she is definitely a product of her own culture, but she also is a product of her upbringing and later research into aboriginal stories. To understand why I say this, you might read this very detailed website on The Life and Times of an Australian Collector (you may want to jump down to her own birth in 1856 [section 12] or to section 21 where her interest in aboriginal culture starts to be covered). For a "mid-sized" article, the Australian Dictionary of Biography is a quick read and shows Parker's efforts at fairly recording the stories. Before the story, a few Aussie words might need explaining to readers unfamiliar with them. 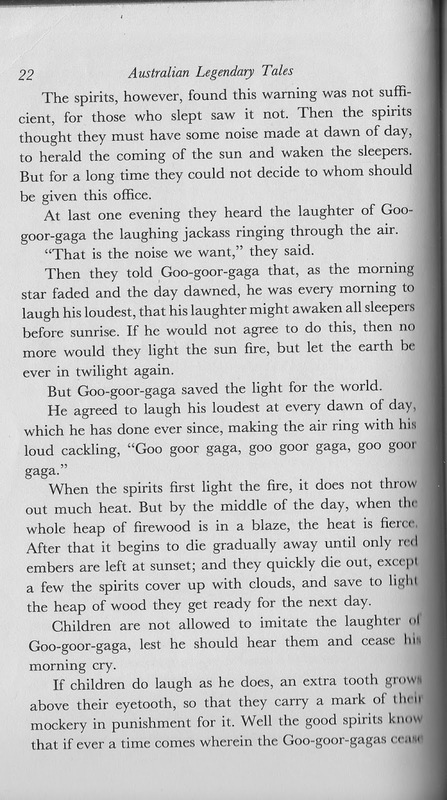 When talking about Parker's family "squatting", here in the U.S. it would be "homesteading"; a "station" could be compared to our ranches; within the story a "Goo-goor-gaga" is the Kookaburra bird and the name gives an interesting description of its cry -- along with a caution for using it. I'm uncertain if the "good spirit" mentioned is Baiame, which she is credited with showing pre-dated European missionaries. I don't know. Let the story speak to you and be warmed by it even though it may need a bit of understanding and research about "Katie" Parker Stow. To read other stories collected by Parker, go to the Online Books Page.